Over the past year, we have written various blogs about all kinds of subjects and so we have listed those that interested you the most. We began in February by looking at guiding you through Crypto Currency, our Six Tech Predictions For 2019 received a lot of comments, Adapting Your Telecoms for a Millennial Workforce had a record number of insights, and our blog Ten Things You Didn’t Know About the Internet was very popular. Wi-Manx hope that each article we publish will give you some useful advice on benefits to your business or home with numerous IT solutions and give you a better understanding of different systems and hosting solutions to make sure you’re getting the best service possible. Keep an eye on our News and Insights section throughout February for more. Bitcoin. Mining. Blockchain. You keep hearing these words, over and over. “Bitcoin is rising!” Ok… but what even is Bitcoin? What does all this mean? Don’t worry. We understand. IT and Cloud specialists are constantly looking for more ways in which cloud technology can be utilised to enhance our lives. 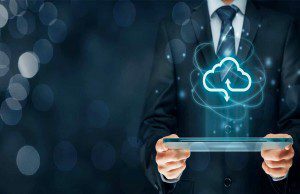 Here are the top five reasons why business professionals and organisations are digging deeper into the complex world of cloud computing. The industry has come a long way and will only continue to grow, adapt and expand. This article looks at the top five telecoms trends to look out for this year. At Wi-Manx, we understand how important it is to have a reliable connection – we take the time to understand our clients needs to ensure that you get the most out of your broadband. We have created a simple guide that will aid business owners in determining what it is that you really need, therefore preventing running into issues further down the line. Millennials are the true digital generation, growing up with more screen time than any other generation before them. Therefore, organisations looking to attract the top talent, should remain flexible to meet the needs of this up-and-coming workforce whose workplace wants include a prioritising of the work/life balance, flexible working and innovative technology. It’s safe to say that the internet has fundamentally changed the way we live. Considering it plays such a crucial role in the modern world, it’s important we all understand it. Here are 10 of our favourite lesser-known facts about the internet that you may not have heard before. The ability to shop 24/7, ability to compare prices, greater variety, better prices and convenience are just some of the reasons why doing our Christmas shopping online has become so attractive to consumers. Although, this means that Christmas becomes an opportunistic time for fraudsters who have come up with more advanced ways to target consumers. It is almost a Christmas tradition on the internet to make predications for what comes next in any industry in which technology plays a key role. And we’re ones for sticking to tradition. Now, we are going to look at the top technology predictions for 2019. Wi-Manx have a range of broadband solutions on offer, that are guaranteed to suit your requirements. Get in touch today on 663333 or email us on business@wimanx.com for more information about all of our services.